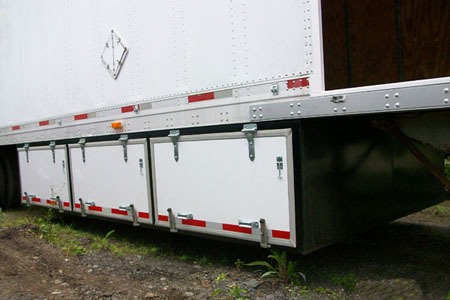 Our trailer division has a large selection of different makes & models of road worthy trailers. We pride ourselves in providing quality service, and on our extensive expertise on all types of used and new trailer equipment. Our low rates on 48′ and 53′ certified tractor trailers keep us the number one choice for Southern Ontario’s trailer needs. Our well equipped repair shop can perform a wide variety of repairs and PM services on tractor trailers. We have everything from MIG welders, to plasma cutters; torque and air tools, specialty truck and trailer tools as well as band saws and airless spray equipment. 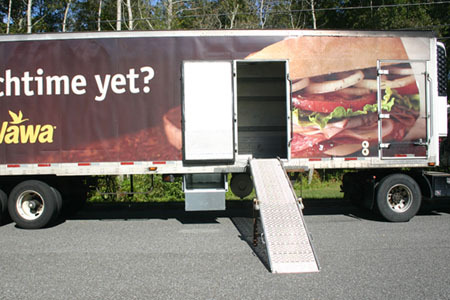 We offer local GTA trailer pickup and delivery to service our clients.